The Stephen Chow Sing Chi film MERMAID (MEI YUN YU) will open on February 8, Lunar New Year's Day. The film company released the first production special, KING OF COMEDY TRAINING CLASS. 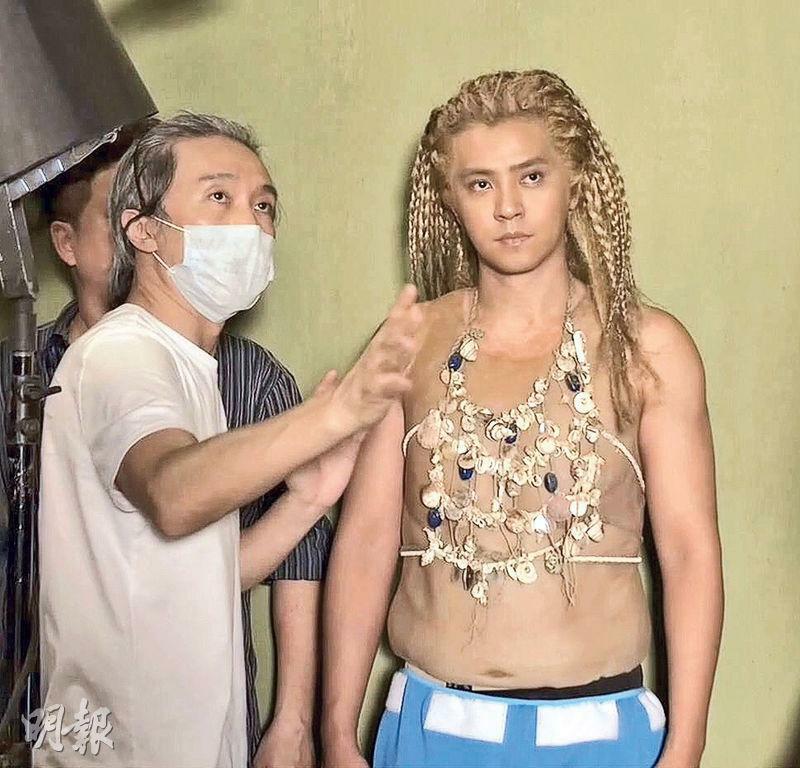 Director Sing Yeh personally taught the actors Deng Chao, Show Lo (Law Chi Cheung), Kitty Zhang Yuqi, Jelly Lin Yun, Lee Sheung Ching and Tin Kai Man "AN ACTOR PREPARES". This special was like a companion to Sing Yeh's 1999 film KING OF COMEDY (HEI KET JI WONG). The most exciting was Sing Yeh's personal performance. He was very strict with his film. Every gesture, "especially expression", had to be its best. Thus he often gave demonstrations himself. The classic line, "Isn't this a salted fish?" brought back a lot of collective memory for Sing fans. Sing Yeh is very persistent with his film quality, stressing that "expression was the most important". He reminded people the classic idea from KING OF COMEDY, "There is a variety of expressions". Sing Yeh in the past has said in some interviews, "An actor can only play one role in every film. When I direct, I am playing every character in the film." The actors expressed their emotional journey after this KING OF COMEDY TRAINING CLASS. The Octopus Law Chi Cheung said, "In order to reach the director's score I have to perform several times. They were hard but a lot of fun." Working with Sing Yeh again, Zhang Yuqi felt that Sing Yeh gave actors an infinite challenge. The "best painter" who appeared as a cop, Leung Sheung Ching even said, "We learned a lot from the director, thank you!" Whether Sing Yeh was pleased with each actor's performance, when the audience saw Sing Yeh cracking up behind the monitor they would have some idea.